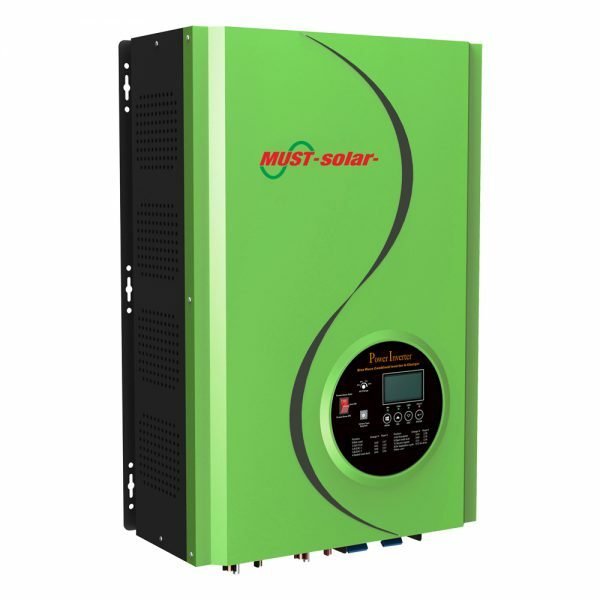 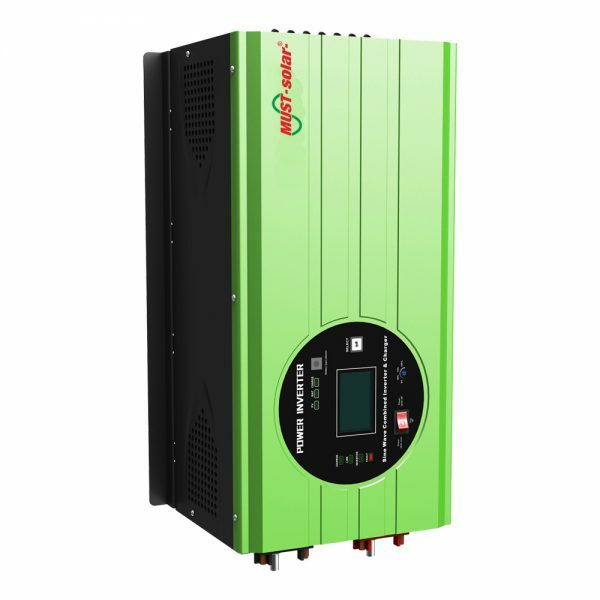 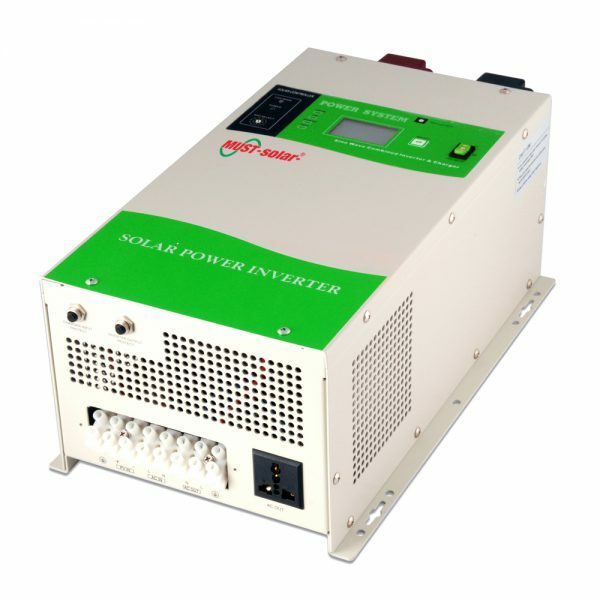 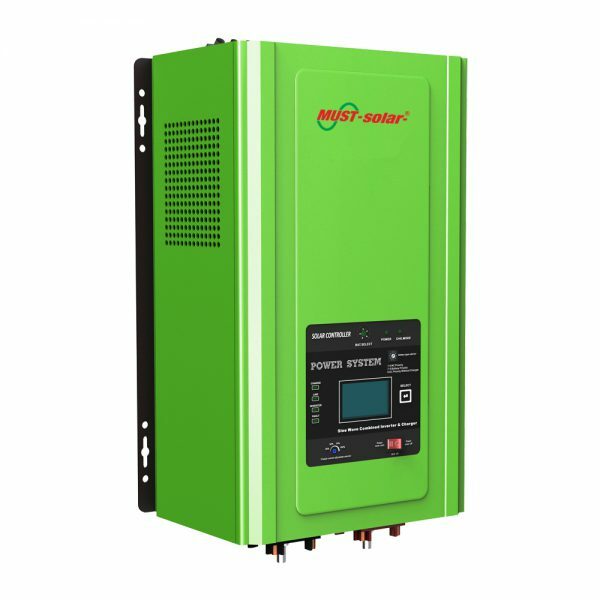 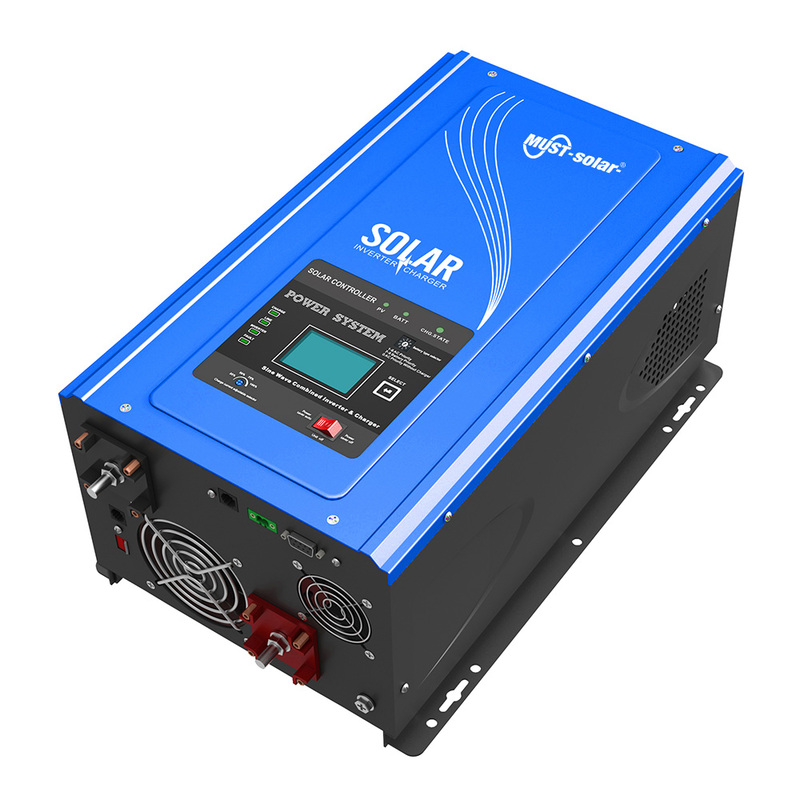 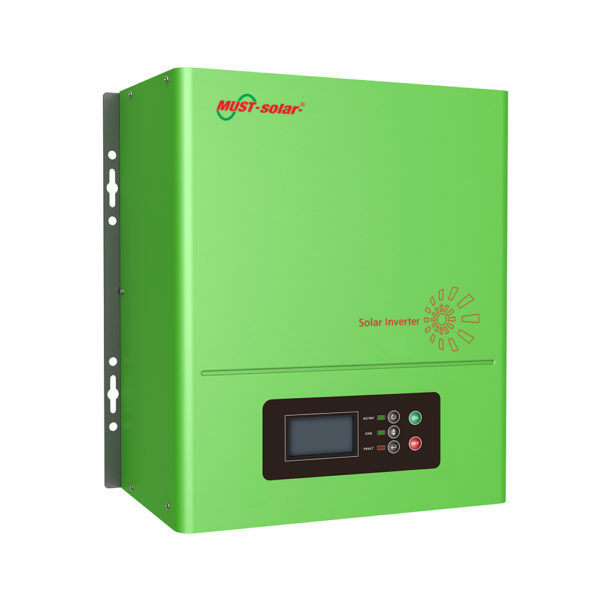 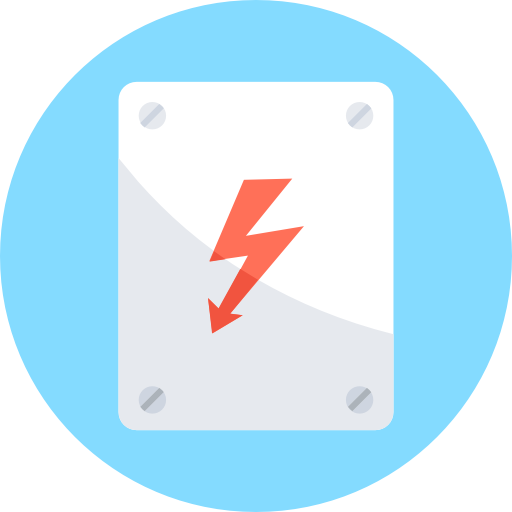 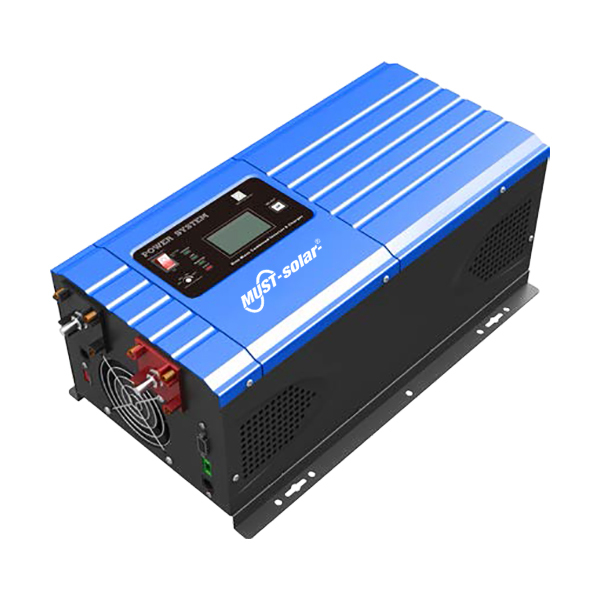 This is a multi-function inverter, special in north & south america market, combining functions of inverter and mppt solar charger controller, solar charger and battery charger to offer uninterruptible power support with portable size. 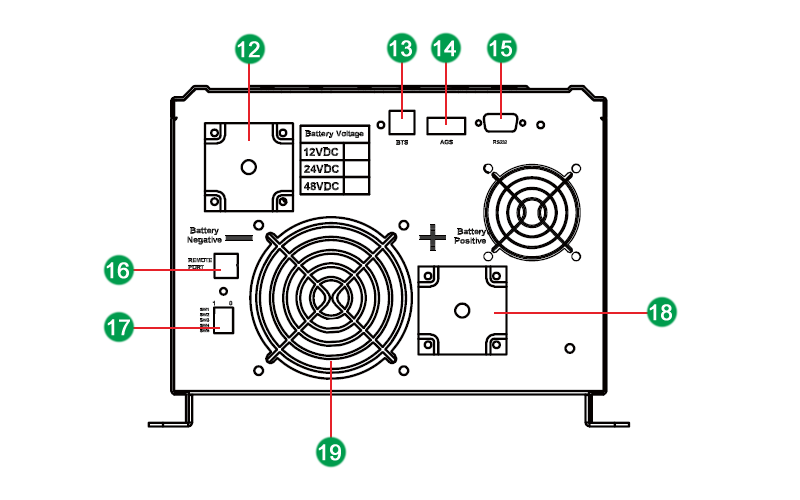 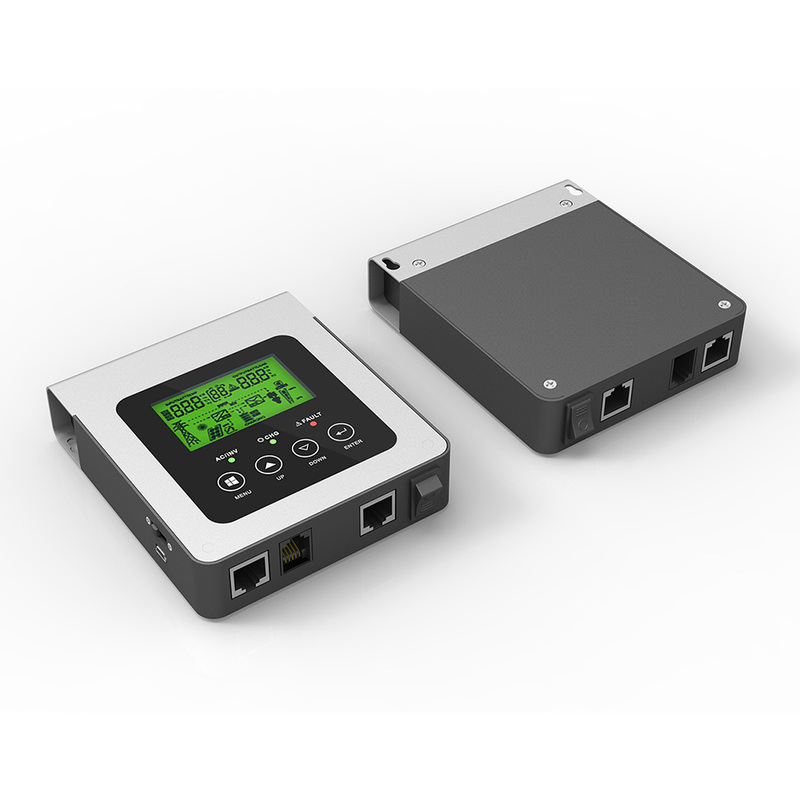 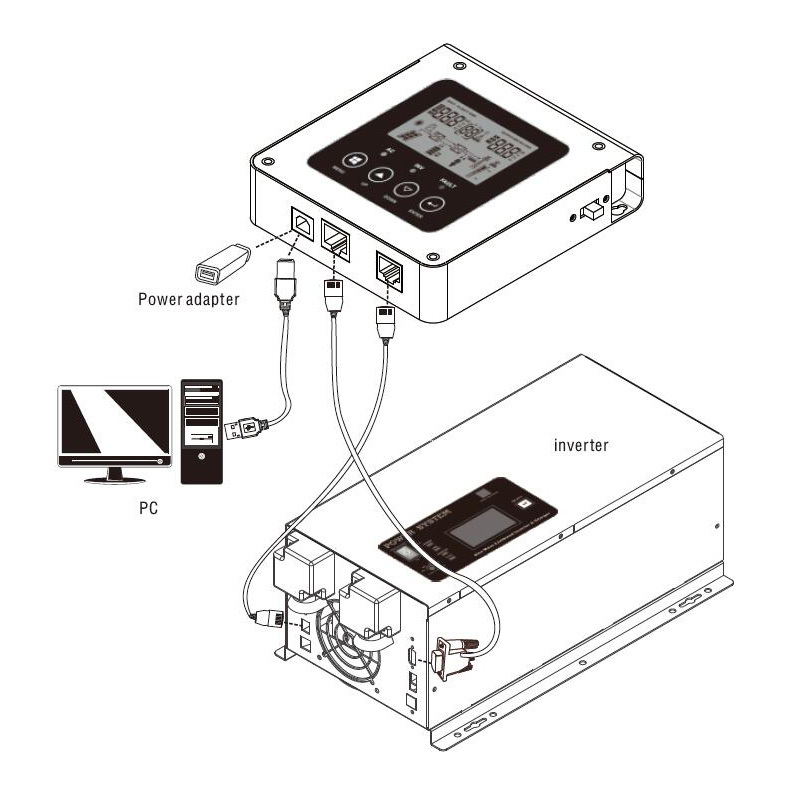 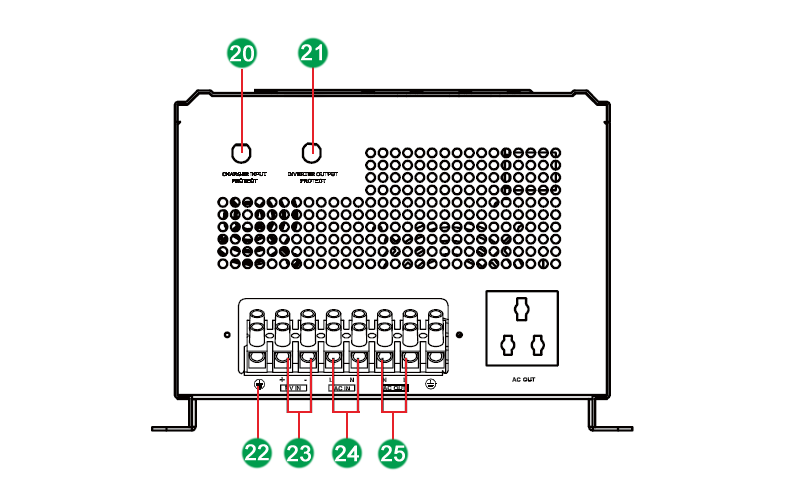 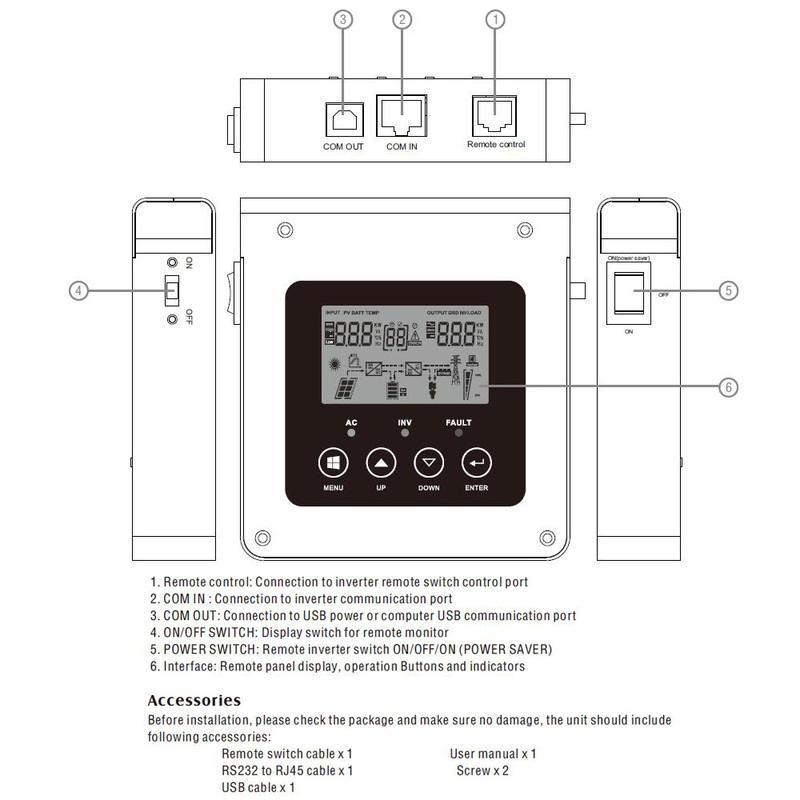 The comprehensive LCD display offers user-configurable and easy-accessible button operation such as battery charging current, AC/solar charger priority, and selectable input voltage based on different applications. 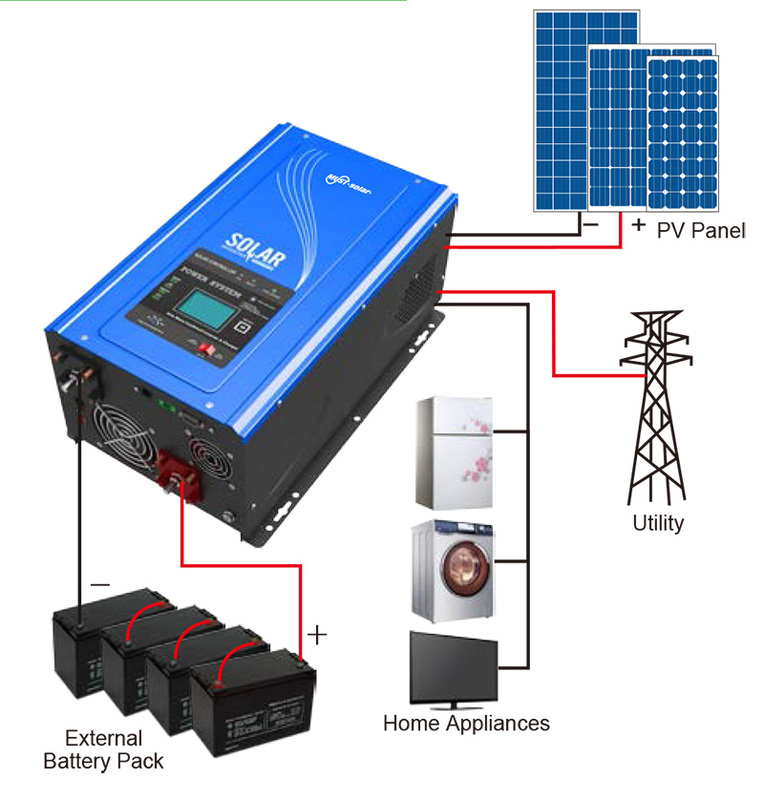 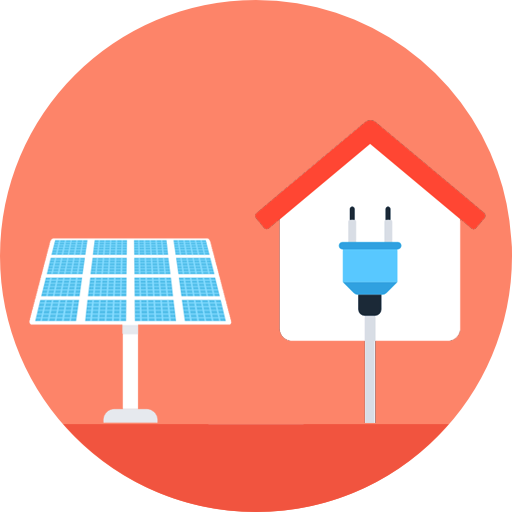 Off Grid Solar Inverter1-4KW Off-grid solar inverter for Home Power System. 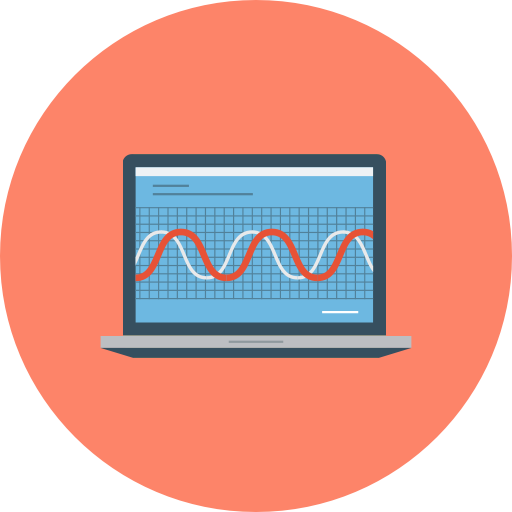 Pure Sine WavePure sine wave output. 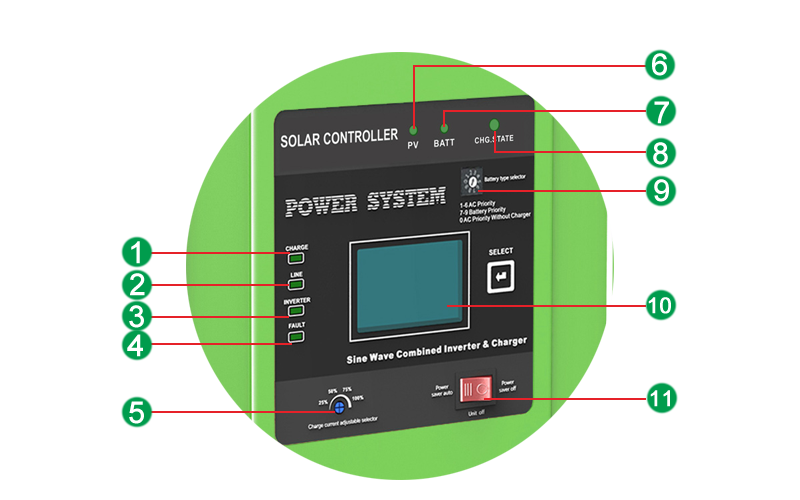 Inbuilt Solar Charge ControllerInbuilt with 40A MPPT solar charge controller.